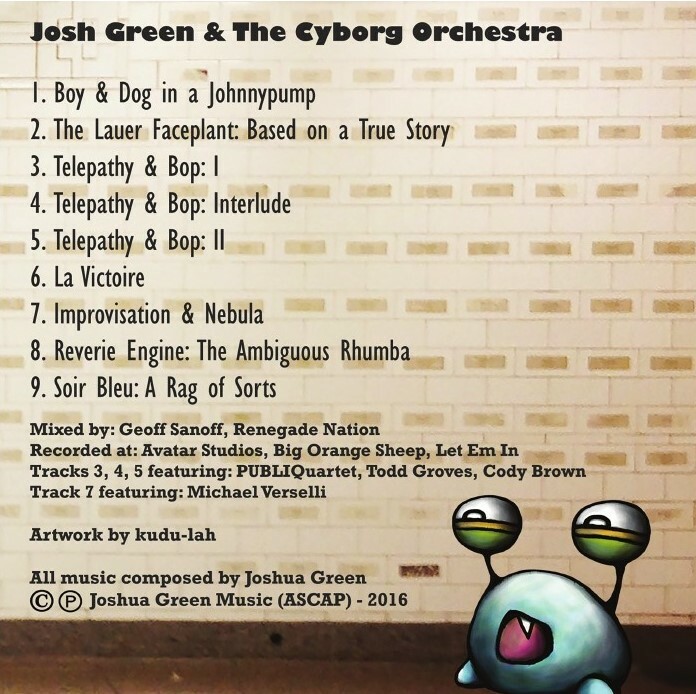 Combining lively modern jazz, contemporary classical richness, cinematic narratives and an offbeat sense of humor, Josh Green & The Cyborg Orchestra offer a skewed but vibrant take on the big band tradition. 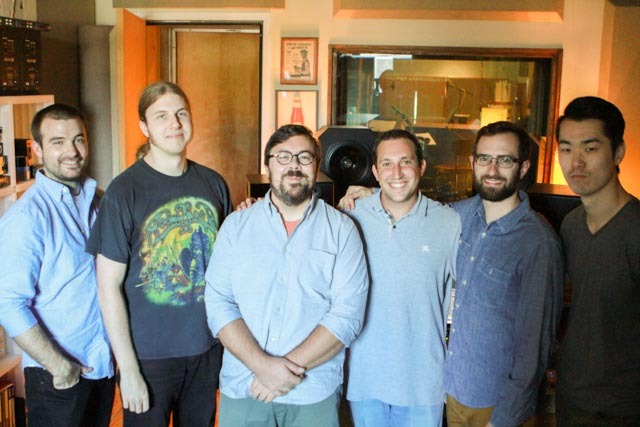 On their debut album, Telepathy & Bop (due out February 24, 2017), the 16-piece Orchestra draws inspiration from surreal visual art, jazz and classical icons, and an accidental stalking episode briefly intertwining the fates of the bandleader and a certain Today Show host, all of which converge to craft a strikingly unique and off-center sound. 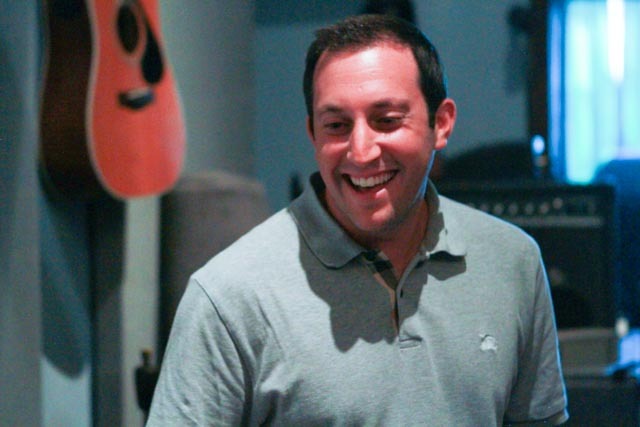 By day, Joshua Green, recently awarded a Herb Alpert Young Jazz Composer Award from ASCAP, plies his trade as Music Supervisor for ITV America, the world’s largest unscripted television company. While devising the perfect soundtrack for battling housewives, rampaging bridezillas and scheming chefs comes with its own rewards, Green found himself in need of a creative outlet apart from the voyeuristic pleasures of reality television. Enlisting some of the finest musicians he’d discovered while working on film and TV soundtracks and Broadway musicals, Green assembled a singular ensemble that deviated from the standard big band to incorporate unexpected voices, including accordion, bass clarinet, Electronic Wind Instrument (EWI) and strings. Band members include Charles Pillow (oboe, alto sax, tenor sax), Todd Groves (EWI, flute, alto sax, tenor sax, Eb clarinet, contrabass clarinet), Jay Hassler (Bb clarinet, bass clarinet), Nathan Schram (viola), Nick Revel (viola), Clarice Jenson (cello), the adventurous PUBLIQuartet – Curtis Stewart (violin), Jannina Norpoth (violin), Nick Revel (viola) and Amanda Gookin (cello) – John Lake (trumpet), Chris Misch-Bloxdorf (trombone), Nathan Kochi (accordion), Sungwon Kim (guitar), Michael Verselli (piano), Brian Courage (bass), Josh Bailey (drum set). The initial stirrings of inspiration for the Cyborg Orchestra, though, date back nearly a decade, to a time when Green had shifted focus from his jazz studies to concentrate on composing contemporary classical music. 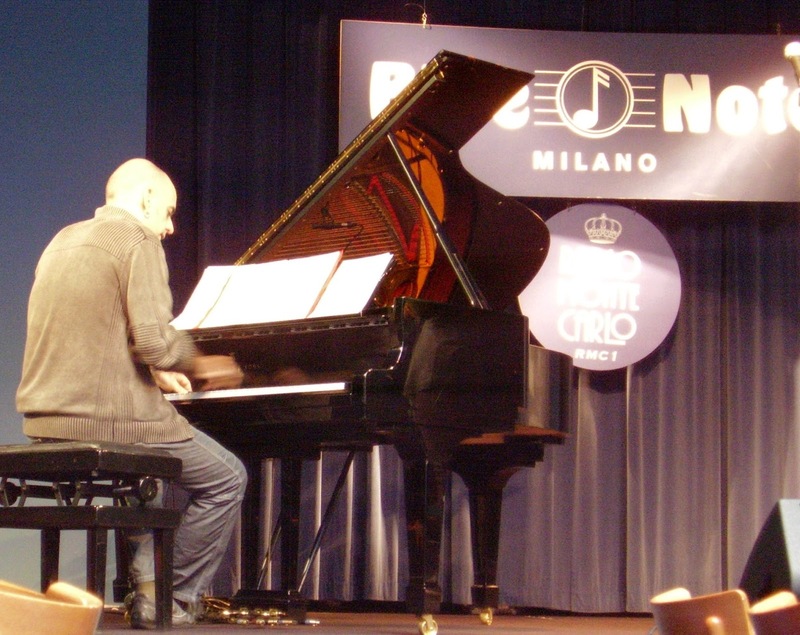 He was studying at the University of Vienna in early 2007 when the news reached him of jazz great Michael Brecker’s untimely death. Distressed at the passing of one of his musical heroes, Green was moved to try his hand at writing a jazz piece inspired by Brecker’s legacy. “I really looked up to Michael Brecker,” Green says, “and when I found out he’d died it was a trigger for me to go back to my jazz roots. 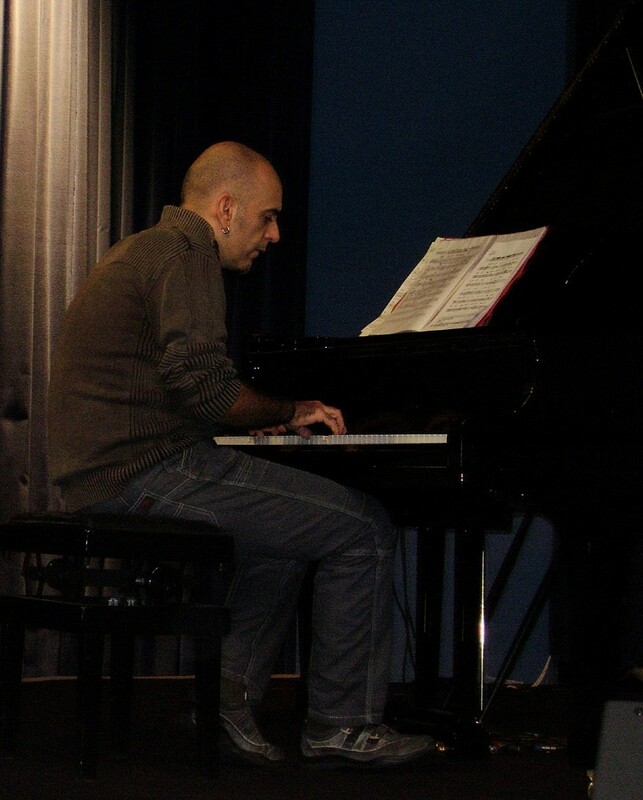 I wanted to write something that showcased the jazz language, bebop in particular, in a contemporary classical setting. It evolved over a really long time until it became ‘Telepathy & Bop.’ I had no idea what the piece was going to be until it became what it was, but that was the impetus to create this ensemble.” That piece, which gives the album its title, is a constantly surprising three-part suite that refracts the angularity of bebop through an avant-garde classical lens, creating a tumult of acute swerves and clamorous textures. 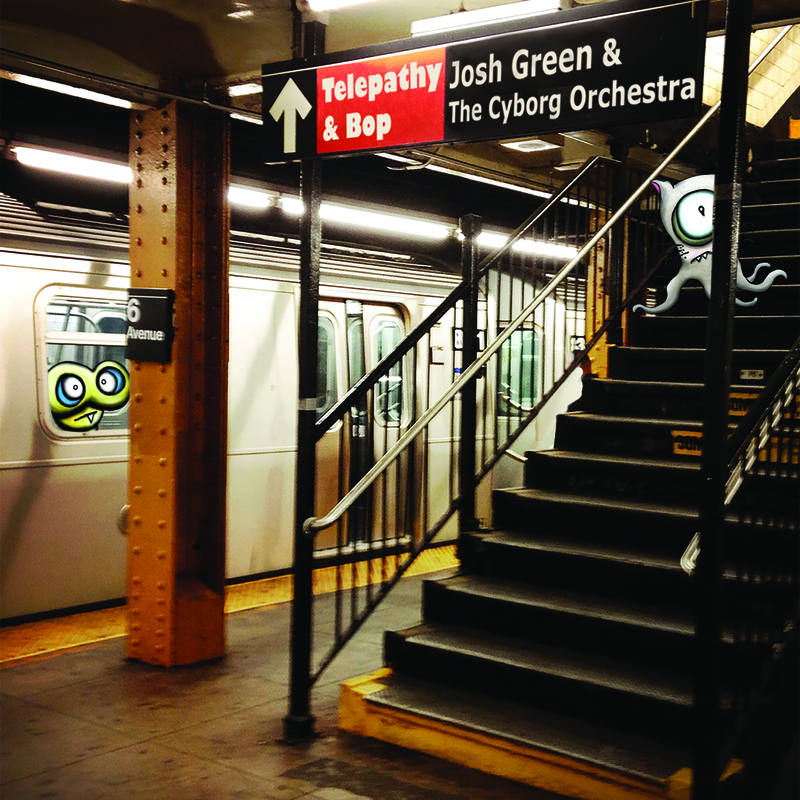 It was a number of years before Green finally put together the Cyborg Orchestra to bring “Telepathy & Bop” and other pieces to life. In the meantime, he’d worked on films by directors like Martin Scorsese, Peter Jackson and David Cronenberg while writing orchestral arrangements for the New York Pops, Emmy Award-winning television shows and Broadway and Off-Broadway musicals in New York and London. 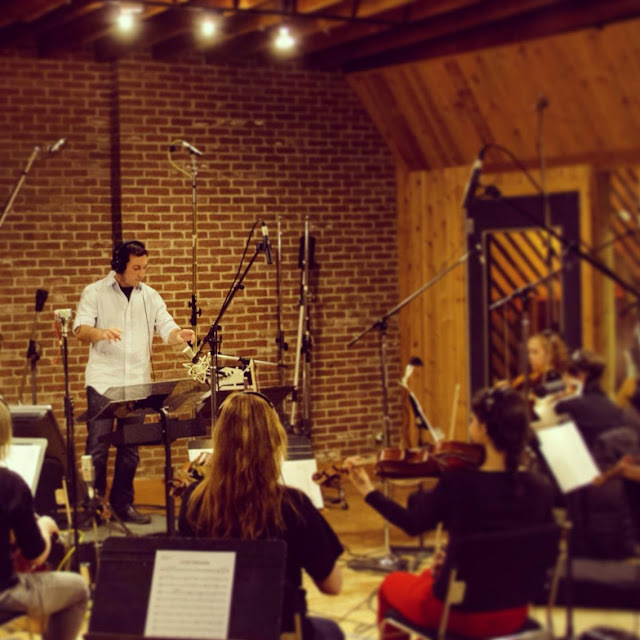 He’s carried his gift for scoring narrative ideas into the Cyborg Orchestra, finding the spark for several compositions in visual art and personal stories. “The Lauer Faceplant” sonically recounts the story of one of Green’s awkward brushes with fame (since moving to New York in 2009, he’s tallied quite a few, which he’s in the process of turning into a suite). 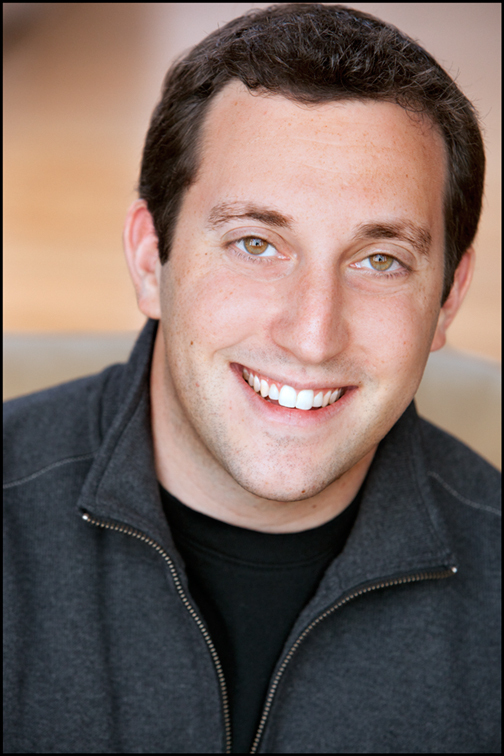 Shortly after arriving in the city his not-yet-developed urban compass led him into a face-to-chest collision with Today Show host, journalist and recent Presidential Forum moderator Matt Lauer. Their destinations being in the same direction, Green then proceeded to follow Lauer, giving the bandleader the uneasy sensation of being an inadvertent celebrity stalker. Frenetic album opener “Boy & Dog in a Jonnypump,” the mysteriously tropical “La Victoire,” and Paris-by-way-of-the-circus rag “Soir Bleu” all have their origins in paintings. 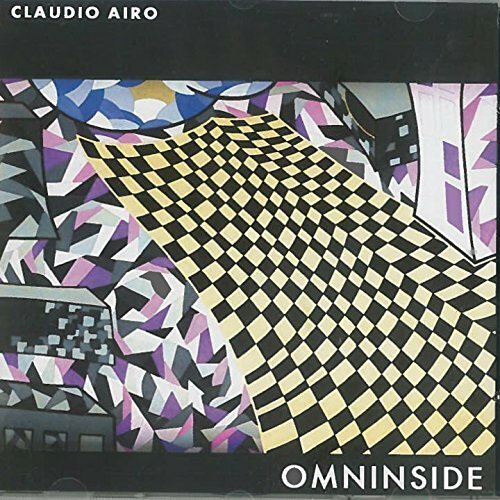 The first is based on a work by the influential, graffiti-inspired artist Jean-Michel Basquiat, while “La Victoire” is taken from René Magritte’s curious image of a cloud floating through an isolated door by a seashore – an image that was through an odd coincidence invoked by a condominium commercial that Green was tasked with scoring. “Soir Bleu” comes from an Edward Hopper scene that finds a smoking clown amidst a group of Parisian diners. The same could be said about the photograph of a cobblestone street in Cuba, lined with classic American cars, that inspired “Reverie Engine: The Ambiguous Rhumba.” The driving rhythms of Cuban music are hinted at but subdued by a sense of uncertainty in Green’s conception. Finally, like “Telepathy & Bop,” “Improvisation & Nebula” nods to another of Green’s musical influences, Hungarian composer György Ligeti. The piece’s stark atmosphere, dark harmonies and spectralism all have their roots in Ligeti’s music. Having realized Green’s musical vision on record, the Cyborg Orchestra will take on full-blooded human form for its live debut at National Sawdust on March 2 to celebrate the album’s release. Meanwhile, Green is hard at work on a new batch of music for the band while trying to avoid literally bumping into stars on the street. Regardless, it will no doubt combine the accessible with the avant-garde, the zany with the zeitgeist. - Green is creating a suite based on a series of awkward encounters with famous people. One such encounter is sonically expressed in a track from his new CD, "The Lauer Faceplant." Shortly after arriving in the city Green found himself in a face-to-chest collision with Today Show host Matt Lauer. - Green wrote the record's title track in response to the death of jazz great Michael Brecker. Says Green, "I really looked up to Michael Brecker, and when I found out he'd died it was a trigger for me to go back to my jazz roots. I wanted to write something that showcased the jazz language, bebop in particular, in a contemporary classical setting." - Several of the tracks on Telepathy & Bop are based on paintings, including "La Victoire," based on an image by Magritte, one that also played a role in a condominium commercial scored by Green. - "Improvisation & Nebula" is a nod to another of Green's influences, the Hungarian composer Ligeti. - One of Green's first compositions was a wind quintet that replaced the French horn with an alto-sax and featured a bebop-style fugue. - Green's arrangement of "Sesame Street" was presented by the New York Pops at Carnegie Hall, with all the Muppets on stage.